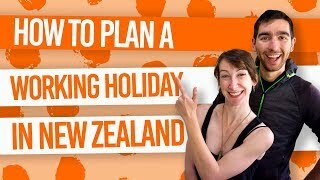 What to do and where to visit in the south of the South Island? If Southland is anything, it is full of character – multiple towns claiming to be the ‘capital’ of obscure things, like sausages, is just one example. Southland offers a real New Zealand country feel, especially in Gore with fishing, country music and a whole history around whisky! The southernmost city, Invercargill, boasts its Scottish heritage through to their accents. Plus, it holds hidden gems (maybe ‘gem’ isn’t the right word) such as Demolition World. While many backpackers take the Stewart Island ferry from Bluff, they can’t leave without trying the Bluff oyster! What’s more, The endless blue skies and long sunsets provide the perfect conditions to appreciate the agricultural landscape when travelling between Southland’s towns with everlasting fields of sheep farming, dairy and deer. Find out more about this fascinating New Zealand region in the Southland guide for backpackers! Go fishing the “Trout Capital”, Gore. Shop, see a tuatara, and visit Demolition World in Invercargill. Do the Around the Mountains cycle trail in northern Southland. Get the best Southland scenery by doing the Tuatapere Hump Ridge Track. Delve into a cave network near Cliften, which takes up to 2 hours! Eat the famous oysters in Bluff. Greeted by a giant trout sculpture, visitors are instantly reminded that Gore is the “Trout Fishing Capital of New Zealand”. You can make your own catch by going on a guided fly-fishing tour. Gore is also known around New Zealand for its annual Gold Guitar Awards in early June. It couldn’t get more country with live country music acts and line-dancing. To add to the ‘country lifestyle’ check out the Hokonui Moonshine Museum – the making of illicit whisky in the Prohibition Era on the nearby Hokonui Hills. Plus, there are whisky tastings! It is also the theme of another popular annual event held in February: the Hokonui Moonshiners’ Festival. For those feeling active, Gore has a Multisports Complex with an Olympic-sized iceskating rink and swimming pool. The Hokonui Hills hold some great trails for walking and mountain biking. In fact, a popular race is held on these hills every year: the MTL Moonshine Trail. For a spot of affordable camping and an entrance to several hikes in the Hokonui Hills, recommend paying a visit to Dolamore Park. Check out our list of 10 Things to Do in and Around Gore for inspiration. New Zealand’s southern-most city, Invercargill has a strong Scottish heritage. This explains why the Southland accent is slightly different from the common New Zealand accent, as many Southlanders roll their ‘R’s. The city centre attracts locals and tourists alike for its excellent shopping and places to eat. Grab a bargain at one of the “op shops” (second-hand stores). You can also see tuatara, a.k.a. the living dinosaur, at Southland Museum and Art Gallery in Queens Park. [Update: the Southland Museum is permanently closed]. The park is also worth checking out for its bird aviary and animal enclosures. For an, erm, interesting experience, head to Demolition World on Bain Street. A whole village has been made from items saved from the scrapheap. The village is complete with a church, hospital and cinema. Entry is a NZ$1 donation. To get a feel for the Invercargill area, take a walk! The Estuary Walkway is a boardwalk around a lagoon, which starts and ends at the western end of William Street. There are some walks in the Otatara, such as the Daffodil Bay Loop. This is an 1h30min walk in native forest and along the estuary. Additionally in the Otatara area, Sandy Point takes you along the sandy coast. We recommend biking there to make use of the mountain bike park, which you can read more about in our Southland Mountain Biking Guide. To explore the city, follow the heritage trail to find artwork and sculptures. There’s also a quick walk in Anderson Park to see some of the native bush that will have once filled the Southland plains. Finally, take a long walk on Oreti Beach, just so you can have the credentials for a cliche dating ad! There are a few food favourites in Invercargill, so look out for seafood, particularly blue cod, oysters and cheese rolls, a.k.a. Southland Sushi. Know what fish is sustainable to eat by checking out The Best (and Worst) Seafood to Eat When in New Zealand. For more things to do, check out 10 Free or Cheap Things to do in Invercargill. Aside from eating sausages at the “Sausage Capital of the World” (yes, really), walking all or part of the Tuatapere Hump Ridge Track (3 days one way) is a must do in the Tuatapere area. The walk is unlike the usual Department of Conservation huts as you have to pay to walk the track which includes the private backcountry hut accommodation and transport to and from the track. There is the option to combine this walk through coastal scenery and bush leading towards the Fiordland National Park with a jet boat ride. The walk starts on the western Te Waewae Bay. Look out for Hector’s Dolphin and Southern Right whales before heading off on the track. For a real adventure, check out the Clifden Caves, signposted off Clifden Gorge Road (off State Highway 96). It take 1h30min-2hours to navigate the whole cave system and return to the car park. Along the way, you’ll see awesome stalactites and stalagmites, as well as glowworms. Make sure you take a spare torch and avoid going in the cave after heavy rainfall. Many take the ferry from here to Stewart Island, but if there was one reason to visit Bluff it has to be the seafood! Bluff has a huge fishing industry, and the local restaurants benefit from this by getting the freshest catch! We recommend to order either (or all): Bluff oysters, blue cod or whitebait. Two places to make sure you visit in Bluff is Stirling Point and the Bluff Hill Lookout. If you took a photo of the signpost at the very north of New Zealand at Cape Reinga, then you need a photo of the signpost at the south of New Zealand at Stirling Point. From here you can walk or take the car to the Bluff Hill Lookout. Look over the Foveaux Strait to Stewart Island and over the Southland plains. From the lookout are a number of mountain biking trails too – find out more in Mountain Biking in Southland. Rainforest, waterfall after waterfall, native bird life, crazy rock formations, and a huge abundance of marine life: the Catlins is a must for backpackers! The area runs between Balclutha and Fortrose near Invercargill, encompassing a fossilised forest, caves, one of New Zealand’s most scenic lighthouses, and some of the best seal, penguin, sea lion and dolphin-spotting locations. Because there is so much to say on this Southland destination, that we have a whole backpacker guide dedicated to the Catlins. Check out Catlins – Guide for Backpackers. While you’re at it, make sure you tick the 18 Amazing Attractions You Can’t Miss in the Catlins off your bucket list! You may have heard of a little place called Milford Sound? Well, this is where the famous fiord is located amongst many other stunning fiords, mountains and wild dense forest. The Fiordland National Park covers 1.25 million hectares making it the largest in New Zealand. Acting as a stronghold for unique endangered species and having some stunning multi-day hikes, no wonder it has been classed as a UNESCO World Heritage Area. Fiordland is so awesome, in fact, that we have heaps more information in our backpacker guide to the Fiordland National Park. Swim, surf, sail or fish in Riverton and Colac Bay. Attend the Hokonui Fashion Design Awards in Gore. Visit the Gore Historical Museum. Want to see a typical Southland town? Go to Winton for cafes, pubs and a heritage trail. Go jet boating in the Pourakino Valley. Splash about like a big kid at Splash Palace, Invercargill. Stargaze in the most southern part of New Zealand and you might see The Southern Lights. 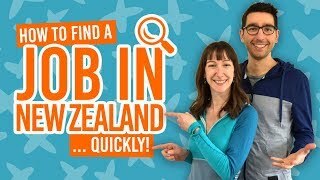 Where to stay in Southland? For more accommodation options in Southland, visit Accommodation Guide to Invercargill.